Various internet information that may be misleading has already been shared about the Fair Chance Act or a law that appears to prohibit employers from asking discriminatory questions about criminal histories. You may have been worried that if you were convicted, this information would follow you around for years. 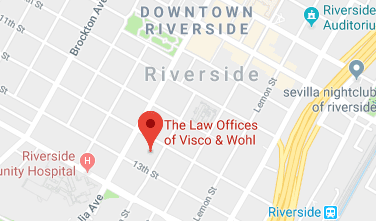 Many of the people who are accused of any crime in Riverside will get help from a lawyer right away in order to address these concerns and to take as much action as possible to minimize conviction. The Fair Chance Act has had numerous versions passed in other states and it may also be referred to in California as Assembly Bill 1008. It was signed by Governor Jerry Brown on October 2017 and became law on January 1, 2018. Some of the other states that have a Fair Chance Act on the books include Minnesota, Connecticut, Illinois, Hawaii, Massachusetts, Oregon, Rhode Island, Vermont and New Jersey. Counties and cities also have their own local ordinances in place. The legislation does not prohibit employers from carrying out a criminal background check but rather only allows them to do so later on in the hiring process. The idea is to encourage an employee’s other qualifications before writing them off with an initial background check. These laws may also be known as Ban the Box laws that have led to an increase in the hiring of people with criminal records. In fact, a study showed that an employed individual with a conviction background had a 16% rate of committing another crime when compared to a more than 52% rate for those lacking employment. These Fair Chance laws are taking effect across the country based on the checkbox on various employment applications asking applicants to indicate with a yes or no whether they have any criminal convictions in their past. Fighting back when you have been accused of a crime is one of the most popular ways to avoid having to deal with the lifelong consequences of a conviction. Schedule a consultation with an experienced criminal lawyer today. Take your case seriously and hire a lawyer who will keep your criminal record clean.